Two years ago I was given the Hunger Games trilogy as a gift and scoffed at the idea of reading teen literature. But within the first couple chapters I wanted to change my name to Katniss, date Peeta, and stand in a three finger pose while whistling like a Mockingjay. This may sound insane, but around the globe people are working tirelessly for little or no pay, many suffer from disease or malnourishment, and many others live in squalor and poverty, relegated to societies and structures they were born into. Continents like Africa face death and disease daily. Countries like India and China are forcing women into slave labor. Cities like Bangkok and Amsterdam exploit women by commodifying their bodies. But in the United States [aka The Capital], the average American woman will be on Facebook for over 75 minutes a day. The average American woman will watch three hours of television a day. The average American woman will consume 4.5 meals of gluttonous proportions, but 74% of average American women will spend two billion dollars on diet pills and weight-loss products. I refuse to believe that our generation of women want to be categorized as average. We have an opportunity to think upon and fight for what is good, true, and right (Phil. 4:6). In light of God’s command in Isaiah 58:6, we are to make loose the cords of injustice and set the oppressed free. In the original Hebrew text, Isaiah 58 is a list of imperatives—go and do. In short, you’re not to just think about doing justice, you are to GO and DO justice. It’s easy to be overwhelmed with the weight of personal world, which gives us one more thing to do or cause to care about. However, we cannot be a people group who relegates our compassion to dropping change into a homeless man’s empty cup, checking off our weekly church attendance, or getting sad while watching a commercial about abused dogs to a Sarah McLaughlin music track. God doesn’t want religious obligation, He wants radical living. My fear is that we are prone to ignore, prone to turn away from the pain in the world because we don’t have the time, space, or margin to care. I get it. I’m a wife and step-mom who works full time, travels for work, and I’m involved in church. But as Christians, as people leading other to Christ, scripture isn’t written for us to pontificate points of poverty or depravity. The Gospel is more than a mindset; it’s action oriented. The Gospel is more than religious activity; it’s radical living. Don’t pray for righteousness, live righteously. Don’t talk about justice, live justly. Don’t play church, be the Church. As we speak with Propel women across the nation and globe, I’m hopeful. Yes, our world is facing a horrible reality. But our reality is not our destiny. It never is. 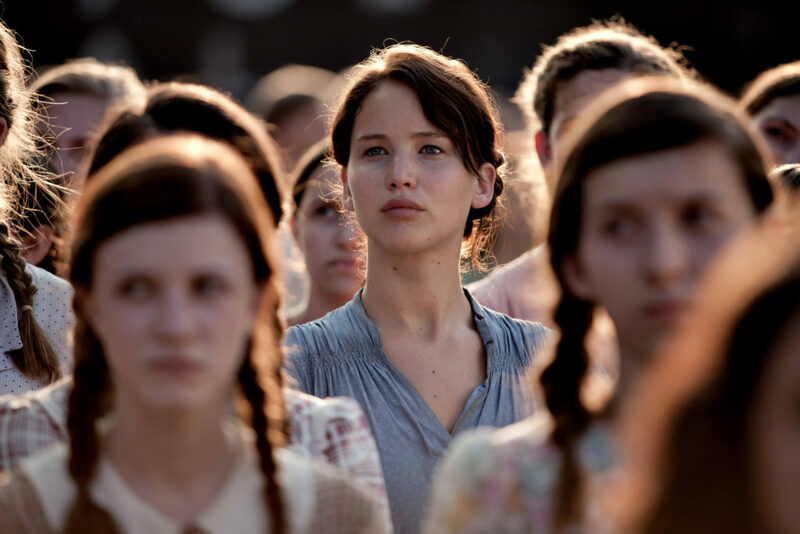 The attraction to Katniss Everdeen is the reality that she could be you, she could be me. At the core of us is a desire to do what is right, good, true, and just. The sacrifice is big. The risks are daunting. But reward is worth it. We have a chance to stand before the Capital and do what called to do: change the world. Here’s to side braids, freedom, and archery. But better yet, here’s to a generation of Katiss’, Peetas, and Prims who know that their valiant acts could very well change history. For more articles like this and others, check out the latest edition of Propel Collective, a collection of stories, articles, and tip for women, from women. You can register for FREE here! Those statistics about women in America are staggering. I had to re-read them to let it sink in. What a world of luxury and resource we live in. In keeping with your Hunger Games analogy, in the books, Katniss is the most effective in her efforts against the Capitol when she is among the people who are oppressed. She does the greatest things for her people when she is fighting for them by fighting alongside them. This is just like us as Christians. Wherever we fight the battle for souls, whether that be in our native country, Bangkok, or Africa, we are most effective when we are in the midst of the battlefield spending time with and ministering to the souls we’re fighting to save rather than standing at a sanitized distance. Thank you for encouraging so many Christians to stand up and fight with the hope of changing the world. Great words. Powerful words. I need a DAILY reminder of how priveleaged Amercians are. Thank you for that. Thank you for these encouraging words, statistics, and Scripture! I have also been encouraging my social media friends with the A21/IF containers — let’s not just talk about it, let’s do something!!! Powerful woman of God, YOU are Katniss!! You are living a life of power through and in Holy Spirit and God’s words and you are changing the world by empowering other women to do the same! Thank you for your testament and your words! Well said and may we all walk it out…Live it out…minute by minute. Thank you! This! This is my heart. Ahhh I love what you are doing here. I just wrote a book called, “Sorority girls can change the World” about me coming to Christ as a sorority girl, how live for christ in college. I’d love to offer it as a giveaway on your blog. Let me know if I can help. Press on warrior princess!